the Actuel festival was organized by the publication of the same name (who, under different editorship, went on to become a prime mover of the French counterculture in the early to mid-70s) in collaboration with the fledgling BYG label. It was originally going to take place in or near Paris, but French authorities forbid it and the marquee was eventually set up a few miles outside the French border, on Belgian soil. It took place over 5 nights, entertaining an audience of 15-20,000 to a unique mixture of progressive pop, free jazz and contemporary music. 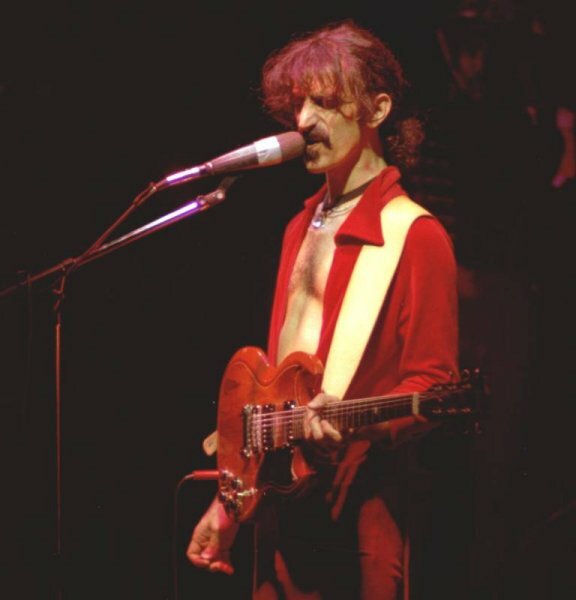 Frank Zappa was present at the festival (well, the first four days, it seems) in a twofold capacity. First, as Captain Beefheart's road manager; secondly, as M.C., assisting Pierre Lattes, a famous radio/TV presenter at the time (and the pop music editor for Actuel magazine). The latter task proved problematic given FZ's very limited mastery of French, the prevailing language among the audience, who themselves didn't seem to understand much English. Instead, FZ relinquished his M.C. job for one of occasional guest guitarist. As far as I know, with the exception of FZ's performance with Captain Beefheart, this collects all of his jams with participating bands. A couple of films, directed by Jerome Laperrousaz and Jean-Noel Roy, came out in 1970 but were instantly banned because of objections from various bands (most notably Pink Floyd) whose permission hadn't been properly secured. 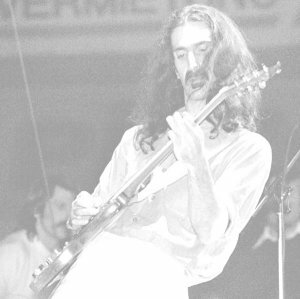 Zappa's performance with Beefheart is included in one of them, and since the audio of the film (unlike the film itself) is in circulation, possibly in better sound than I could provide, I decided not to include it. The whereabouts of the master tapes for the festival, if any exist, are unknown. What recordings are circulating are either the soundtrack of the film, or taken from radio broadcasts (on Luxemburg's RTL and Belgium's RTBF). The source used here is an audience recording made by a young French member of the audience using a now antiquated amateur tape recorder. The original tapes have been newly transferred, but even so, the sound quality is rather poor. Still, it seems to be the only source available at this time, so that will have to do for now. Most legendary, of course, is Frank Zappa's jam with Pink Floyd on a very extended "Interstellar Overdrive". Apparently, despite the wealth of Pink Floyd bootlegs in circulation, no one seems to have their Amougies set, so this will probably delight a lot of people. Browing various PF-related websites, there even seems to be a debate on whether the jam ever took place. Well, here is the final proof that it did.